BREVARD COUNTY, Fla. - Crews put out a house fire in Brevard County on Sunday afternoon, and they saved a cat in the process, officials said. 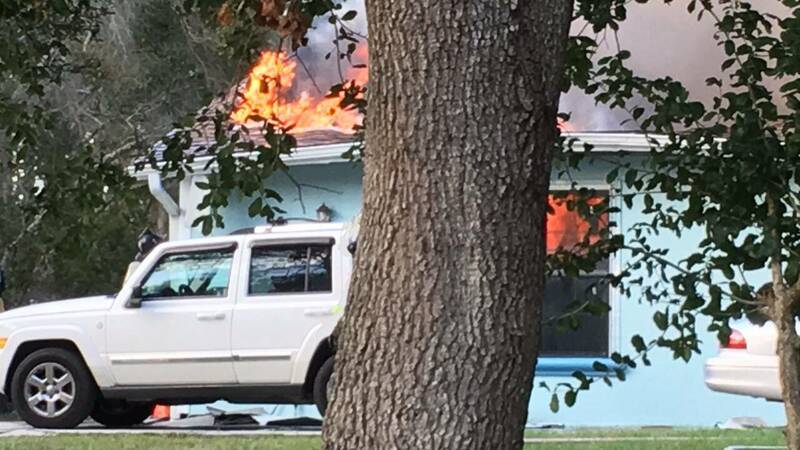 Brevard County Fire Rescue said the fire started at a home in the 3700 block of Canaveral Groves Boulevard, adding that the flames went through the roof over the garage and in the attic. BCFR officials said crews were able to coax Lucky the cat out of the home as they fought the fire. Firefighters said they were able to contain the fire to the attic and garage area, where there was heavy damage. Officials said there have been no injuries and all occupants made it out of the house, adding that five people have been displaced.